Though the practice of law is as ancient as the history of man, many firms still operate as if the legal world has remained unchanged for decades. The law office of Davis & Giardino, P.A. will represent your business legal matters. Born in Terre Haute, Indiana in 1953, Brent Davis brings a wealth of Criminal and Civil Litigation experience to the firm. As a member of the Florida, Texas and Federal Bars, Mr. Davis has established a distinguished trial record having handled some of the most complicated cases. After graduating from South Texas College of Law, Mr. Davis began his professional career in the Palm Beach County State Attorney's Office. As an Assistant State Attorney, he was responsible for trying Felony, Misdemeanor and Juvenile cases. 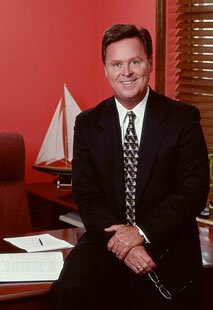 Since 1984, Mr. Davis has worked exclusively in the field of Insurance Defense.